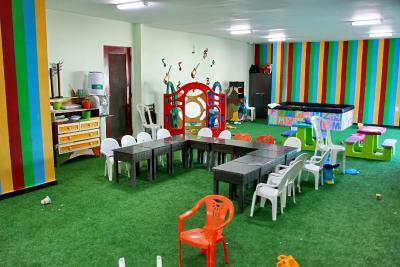 The location is excellent and facilities even though I did not use them much were excellent as well. 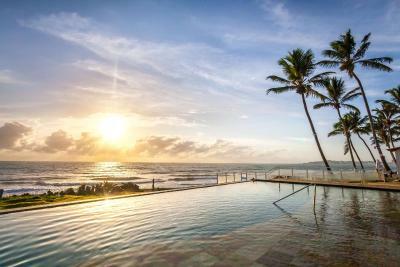 This hotel is a good value for money, with good breakfast and comfortable bed with sea view from the room. Location is OK, just few minutes away from Ponta Negra by car. All rooms have sea view. Very nice staff. Very good breakfast. 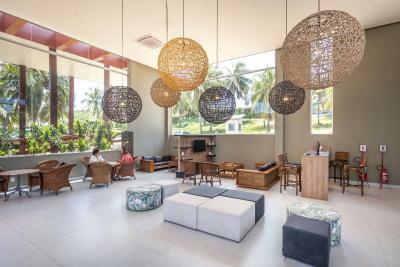 The hotel is located at the beach and near the dunes. In addition, the city centre of Natal is also nearby. Enough parking space. 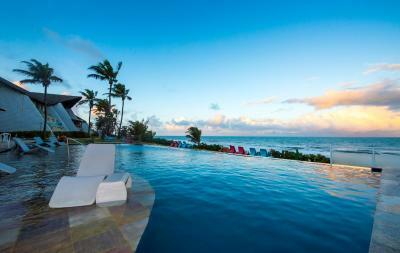 The various swiming pools that are very well located and well kept. 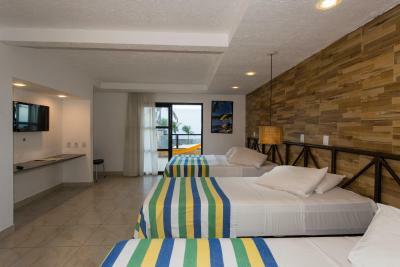 The rooms are confortable with nice view of the beach. The staff was always helpful. Nice breakfast and dinner with live music. One English-speaking receptionist made my stay - he was extrimely helpful. Price is compliant with quality. Great beach area. Excellent room space. The rooms are clean daily. Great variety of food at buffet. 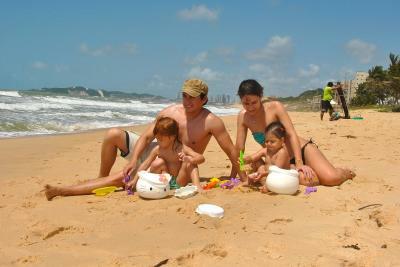 It is situated in an extraordinary position in the middle of the Natural Park of Natal. Very quiet & relaxing. 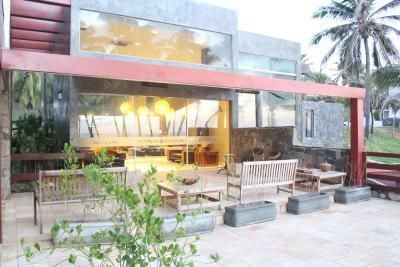 Seaside and location very well and frequently maintained by the staff. Good prices for the meal and the amenities. The poolarea is nice. The sea view is fantastic. The beach is very nice.The breakfast is good. 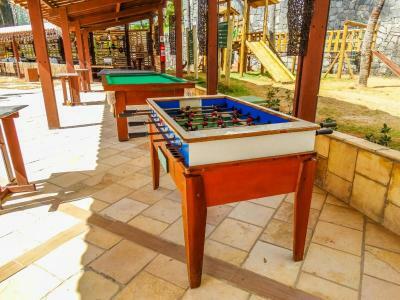 eSuites Vila do Mar Natal This rating is a reflection of how the property compares to the industry standard when it comes to price, facilities and services available. It's based on a self-evaluation by the property. Use this rating to help choose your stay! 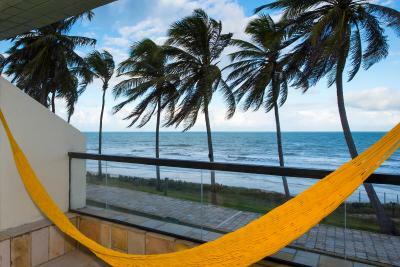 One of our top picks in Natal.Featuring a spa, a hot tub, an infinity pool and 3 other swimming pools with sunloungers, this hotel sits directly on Via Costeira's Barreira D'Agua beach. 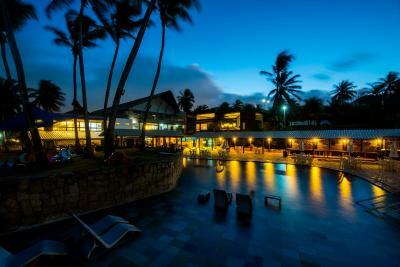 Located in Natal, it offers massage sessions, beauty shop treatments, a pool bar and sports courts. WiFi and parking on site are free of charge. With a balcony and scenic sea views, Hotel Vila do Mar – e.Suites' air-conditioned rooms feature a cable TV, mini-bar and desk. 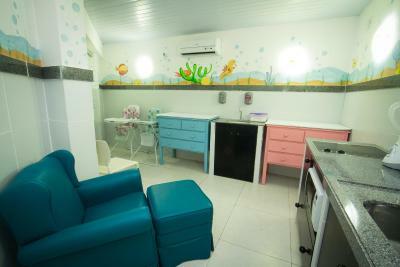 All include a private bathroom with toiletries. 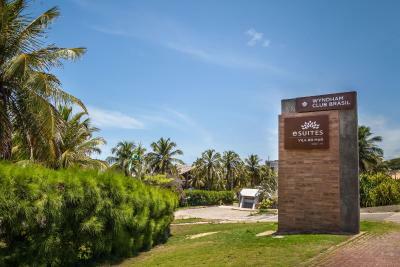 The 4-star Hotel Vila do Mar – e.Suites is located within walking distance from Dunas Park, and 3.1 mi from Natal center. 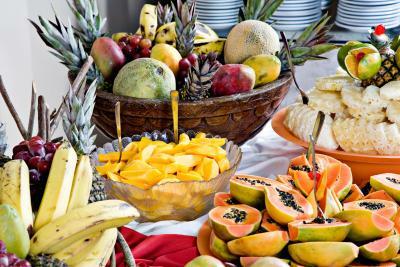 A rich buffet breakfast is served daily and includes fruits, breads and hot meals. 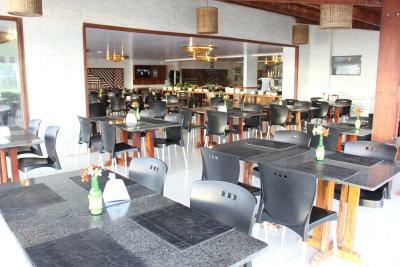 Offering regional delicacies, the restaurants serves a variety of buffet options. Room service is also available 24/7. 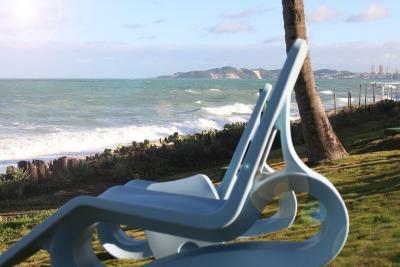 When would you like to stay at eSuites Vila do Mar Natal? 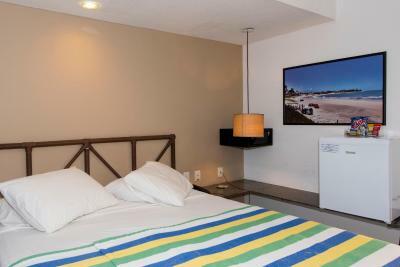 Boasting sea views from the balcony, this air-conditioned room offers cable TV, a safe, mini-bar and bathroom with amenities. The telephone provides a message system. Please specify before arrival if you prefer 1 double and 1 single beds, or 3 single beds. This quadruple room has a balcony, air conditioning and sofa. 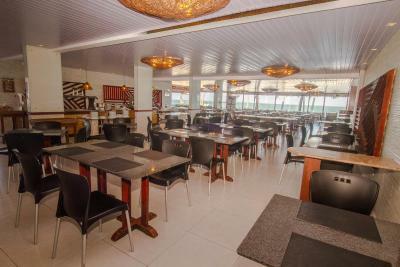 The hotel e.Suites Vila do Mar has the best structure for your stay in the best location of Via Costeira! 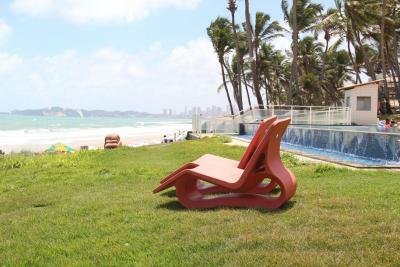 The hotel is only 10 minutes away from Ponta Negra, the touristic center of the city of Natal, near the historic and gastronomic center of the city, in the area of environmental protection Parque das Dunas. 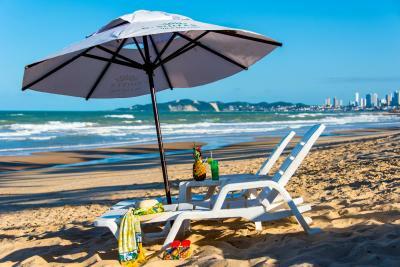 With all the comfort and safety of a 4 star hotel, hotel e.Suites Vila do Mar is your best option on the beach! 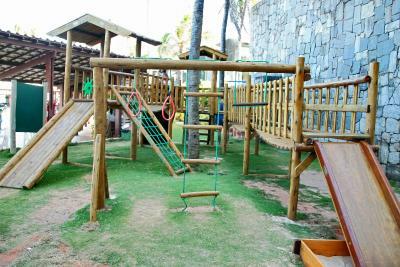 House Rules eSuites Vila do Mar Natal takes special requests – add in the next step! 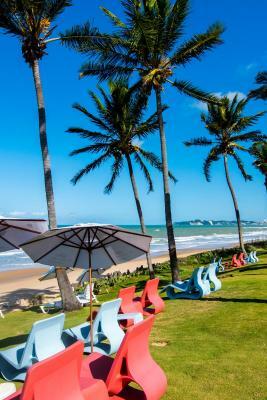 eSuites Vila do Mar Natal accepts these cards and reserves the right to temporarily hold an amount prior to arrival. À la carte restaurant is open from 06:00 to 22:00. Pool Bar is open 24 hours. 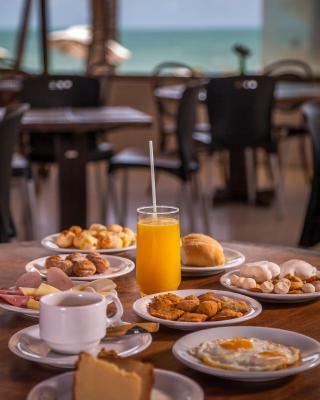 Buffet breakfast is available from 06:00 to 10:00. Dinner is served from 18:00 to 21:00. In my room the tap was broken, and even after requested no one fixed the problem. Every day the cleaning in my room was horrible. 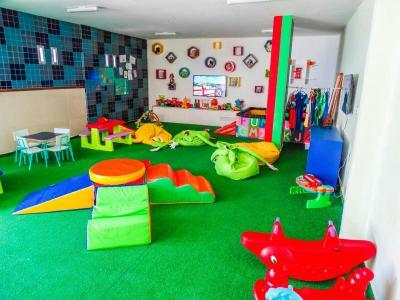 Towels was missing to dry my kids, and after asking several times nobody cares. Valores do bar e restaurante. Weak maintenance, old sheets and towels, plastic cups in the room, too much heat in the breakfast area. Hotel makes day use so, lots of people using the common areas. Great view, location and staff. 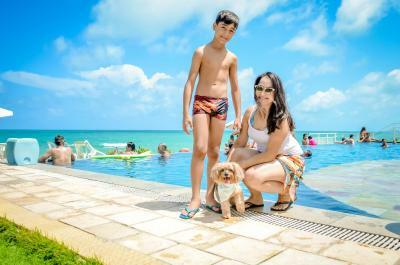 The hotel looks great on pictures but when you get there is a completely different story, the pools were very dirty, they had a day use pass for R$30,00(about 7 euro) which attracted way too many people. Bedroom was quiet dirty and when we arrived the floors were still wet. In the check out they tried to charge us for stuff we didn't eat or drink. 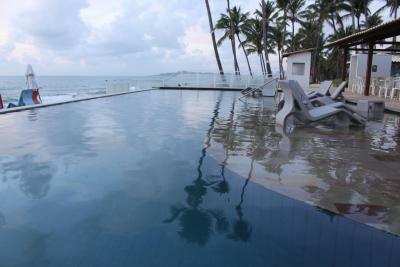 Bottom line, I have been to Natal several times and no, I would not stay in the hotel again or recommend anyone. O check -in poderia ser mais cedo. Café da manhã, a vista do hotel e área da piscina. First, we were put in the outcorner of the hotel while there were rooms available closer to the reception. We were put in a different room after request, but this room had ants all over the wall and in the room itself. We asked for another room and got a different room with a small 1 person balcony and again had ants in the bathroom inclusing in our towels. In addition, the wifi is too slow to proper use the internet. To conclude, the hotel is outdated. The very loud music at the external area. Could not find a quiet place to just hear the sound of the sea. And the rithm was always "foró" type which is fast dance music. The eating options were limited. Among numerous personel only one person speaks English - I believe this location is not often used by foreigners. Rooms are not so modern and as for me - not cozy. They needed to be a bit more careful about the food offering to the guests. Sometimes with the hot weather the food may spoil faster. Other wise excellent food. Also, they offer natural fruit juices and detox juices. Air conditioning quite noisy and not easy manageable. Furniture to be renovated. Cleaning of the common parts to be improved. Limited visibility of the location from the road at our overnight arrival. Menu' variety to be improved. da vista do hotel e do café da manhã. Do ar condicionado muito fraco.